Chelsea Houska Buys a House! Take a peek! 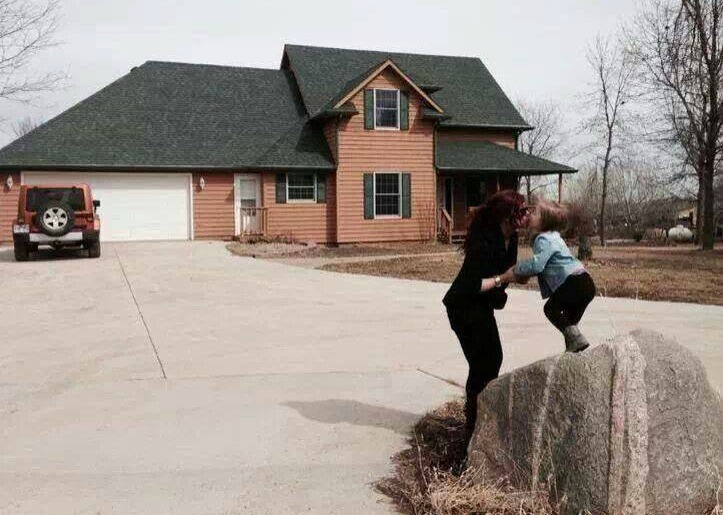 It looks like Teen Mom 2’s Chelsea Houska is now a home owner! On March 17th she posted a gorgeous photo of herself and daughter Aubree in front of a nice sized home stating “so blessed.” Chelsea’s father Randy also tweeted that it was a “big day” for Chelsea and that refrigerators are heavy. We don’t have many details on Chelsea’s new home but it looks like a beautiful place for Chelsea to raise Aubree. I also love the fact that she is doing it on her own, she’s not waiting for a man to do these things for her. Chelsea is an independent woman and a fantastic mother, she’s one ‘Teen Mom’ that really seems to have her priorities in order, always putting Aubree first! Previous Previous post: Amber Portwood Has Joined Twitter! Next Next post: Kailyn Lowry and Chelsea Houska Heading to See Miley Cyrus!? Money that her father had given her smdh.